NetStone Global has a young, energetic and professional team from Technology, Consulting, Business Management and Client Servicing domains that takes pride in enhancing performance with each day.The team comprises of highly strategic consultants, software developers, mobile developer, web designers and developers, SEO analyst, and online marketing experts to help spearhead your businesses whilst rendering a hi-tech edge to it. We believe in making you grow financially so expect the most professional outcome at an affordable rate. NetStone Global, an SAP Global Consultants, meets clients' needs, spanning size, scope and SAP footprints across key markets, including Banking, Manufacturing, Diversified Industry and Compliance & Sustainability. 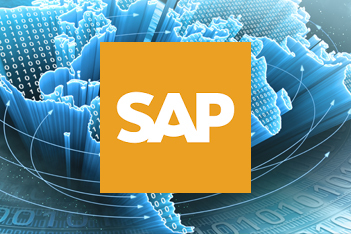 We are one of the world’s best SAP implementation companies and engage with SAP in different ways across the business and technology spectrum o provide our clients with end-to-end capabilities. NetStone Global is an SAP Global Services Partner (SAP's highest level of partnership), an SAP Gold Partner, allowing us to sell and service SAP licenses, and we recently announced an expanded partnership with SAP designed to accelerate the banking industry's move to next-generation technology platforms. NetStone Global combines deep business, industry, functional and technical expertise with the power of SAP solutions, the market leader in enterprise application software, to deliver sustained value.